While modern screenwriting has unfortunately devolved to the level of cipherization, beat points and character as defined by foreshadowing through repetition of an “iconic” “defining” phrase of speech, we’re not talking crappy television “entertainment” or explosion and CG-lightshow “blockbuster” cinema designed for ADD-afflicted teenagers here: this is Classic Doctor Who, this is Big Finish. 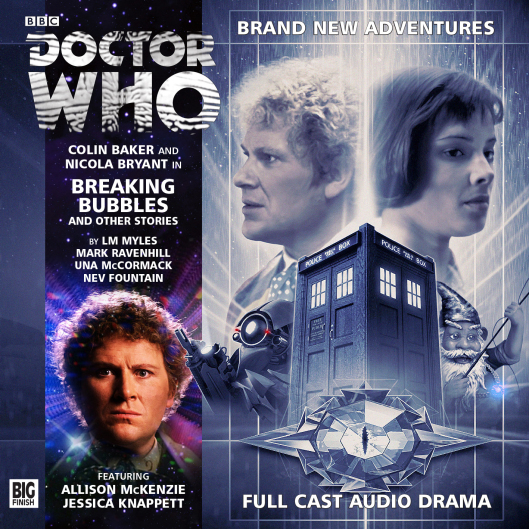 The writing in Big Finish audio drama across its many lines and offerings tends to be more old school in approach, with cleverly structured, intelligent and quite character intensive proper writing. So to note insufficiencies on those scales of measure comes as rather more of a surprise than it would when faced with, say, your average American entertainment industry pap of the last several decades. Jemma Churchill essays the role of former Empress Safira Valtris with appropriate imperiosity, evoking strong echoes of Tracy Childs’ icy Nazi doctress Elizabeth Klein in her delivery. Andy Secombe comes off as a bit of a touch as gamer C.O. Laris, while Allison McKenzie offers a bristly turn as his no-nonsense, revenge minded partner Tondra, who has been plotting some double dealing herself. It’s a bit naive and ivory tower Left to swallow the idea that a chilly demeanored Royal, responsible for a decade-long intergalactic war, deposed and shunted from one locale to another for nearly as long as her former reign and plotting and pulling strings to free herself for all that time, would be willing to just drop everything at the drop of a hat (or more appropriately, a bleeding heart, however logical the argument). In fact, it runs counter to human nature and basic psychology. It’s utopian to the point of absurdity, and jolts the rational listener right out of the story with a disbelieving snicker. Next up, we have the very 2000 ADesque Of Chaos Time The by playwright Mark Ravenhill. I make no secret of the fact that I tend to harbor extreme distaste towards what can be considered as “puzzle” or “drug trip” scriptwriting, where the main character has no idea where they are, who everyone is or the situation surrounding, and has to muddle their way through to an answer. It’s nonlinear and invasive to the recipient of the story (whatever the media), and implies a Buddhist-like detachment to the real and known – “what is the sound of one hand clapping?” “was the emperor dreaming he was the butterfly, or is the butterfly dreaming he is man?” and suchlike gibberish. To be quite blunt, these sort of arguments amount to little more than abject nonsense. 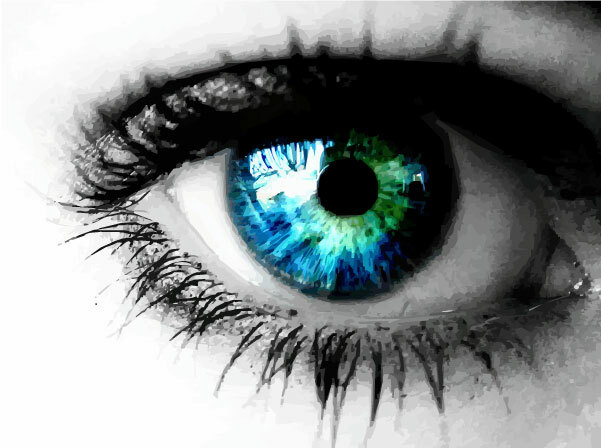 What can be measured, felt, seen is real. There may be (and in fact are) further active underpinnings and subatomic variables that make up what we see as “solid” and “permanent”, but that does not make reality itself mutable in any real sense, except to stoners, schizophrenics and religious philosophers. C.f. the PT Barnum quote earlier. That said, this is actually a cute little story with a more logical puzzle than typical for this sort of tale (i.e. it all makes perfect linear sense, albeit in a cut-up style where minute 3 comes before minute 1, and minute 2 is after minute 5), there’s an attempt at imbuing some measure of humanity to its all too briefly seen incidental characters and even an antiwar message (and a more realist one than the “and everyone shakes hands and makes nice, because Mr. Rogers said so” that made Breaking Bubbles so amusing). In short, you can tell this was scripted by a playwright, and that’s meant as a decided positive. While pushing the standards for good, involving scripting a bit by adopting both a short form and the confused unreliable narrator paradigm, Ravenhill still manages to produce a work of respectable quality. One hopes to hear a proper full length Who offering from the man in the near future. And just to give a tip of the hat to the performers, Phil Mulryne pulls double duty as the unfortunate Trobe and the maniacal Warma, while Anjella Mackintosh stars as the misguided “patriot” Standing. Then we get An Eye For Murder by Una McCormack (of New Adventures of Bernice Summerfield’s Good Night, Sweet Ladies), an odd mix of feminist polemic and wartime historical. Jemma Churchill, Allison McKenzie, Janet Henfrey and Jessica Knappett each play their part in this sordid little drama…and what does all this have to do with an alien eye and experiments in invisibility? Falling somewhere between the comfort of an Agatha Christie-style drawing room mystery and the spot-on (if uncomfortable) reality of clashes between forces holding very different views and the collateral damage this causes to everyone in the general vicinity broached in the excellent A Thousand Tiny Wings, McCormack crafts a well written tale that still manages to bristle a few too many feathers for its own intrinsic good. While some of this is very nudge and a wink (i.e. the situation relating to The Doctor and Peri effectively taking the lead), other portions (the very real situation of and attitudes impacting both women and Jews in Europe during that time) are uncomfortably relevant and (relatively speaking) in the listener’s face. And for a short form offering, An Eye For Murder is simply taking on issues that truly demand a greater length and depth of exploration. Again, with a longer format, this could have been built into a rather excellent and nuanced Doctor Who installment; in a short form, it tends to fall a bit flat where it should have shined (Peri’s time in the sun should really have been built up to a much greater degree than it actually comes off; things once again get wrapped up too neat and tidily, and matters never really get (or at least seem) half so grave as they properly should – pressed for time, it comes off far more cursory than the author likely intended. Finally, the generally standout Nev Fountain (who gave us the excellent Revolution opener from the otherwise questionable New Adventures of Bernice Summerfield and The Darkest Shadow) gives us The Curious Incident of the Doctor in the Night-Time, which while displaying the author’s trademark humor (those garden gnomes in your front yard are really deadly alien spies! ), an attempt at inclusionary polemic leaves this as the most annoying of the stories herein by a wide margin. Look, you have to admit it. Lawn gnomes. You know, the ones kids steal and take vacation photos of, mailing them back to their previous owners? Yeah. An invasion of them. It’s damn funny. But to make our narrator autistic, and listen to him emotionesslessly and anally recount every minor event of his day with the gravitas of Edward Gibbon evoking the glories of Ancient Rome…it’s just annoying. And yes, it’s sort of pandering, like when TV shows or comic books make it a point to slot in a (fill in the blank) character of whatever ethnic background, gender orientation or disability not because it makes sense, not because the story is relevant thereto, but just for the sake of being politically correct. However well intentioned the sentiment, it just rings false, leaving a mawkish taste in the mouth of even those towards whom the gesture was intended (just ask my wife if she appreciates the presence of the “token Asian” in any given offering…). It’s cheesy and groan inducing. And like the gnome said…as a very front and center source of narration and focus of action, Michael is just damn irritating. As a huge fan of the Colin Baker/Nicola Bryant team, I was quite keen to hear her long overdue return to the fold. She comes to us with only last year’s 1963: The Space Race and 2011’s Recorded Time to link her to Old Sixie for many years now, the better portion of her Big Finish time having been spent in highly enjoyable commiseration with Peter Davison’s Doctor and Caroline Morris’ Erimem. And that ended at the very start of 2008! While it’s always a pleasure to see Bryant in action (particularly in the company of her “main” Doctor), Breaking Bubbles seems like a particularly odd way to herald her return to the role. A mixed bag of sometimes all too brief, other times far too long vignettes that seldom develop into anything before coming to a convenient if not abrupt conclusion, this is more of an affair for the committed Who fan and Big Finish regular than the sort of audio you’d be inclined to push a newcomer or friend to in introduction to the series.